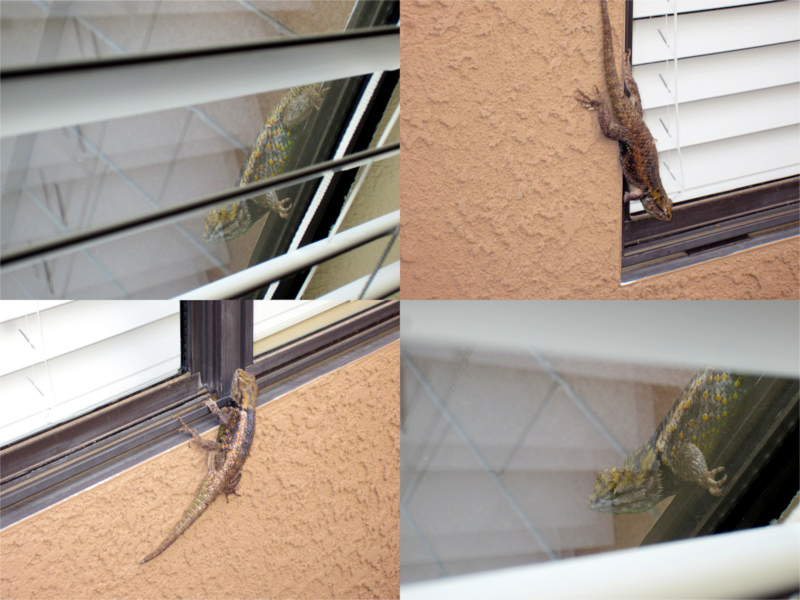 How Much is that Lizard in the Window? I was sitting at the desk in my office when I heard scratching on my window, so I opened my blinds and I saw this guy trying to get in. 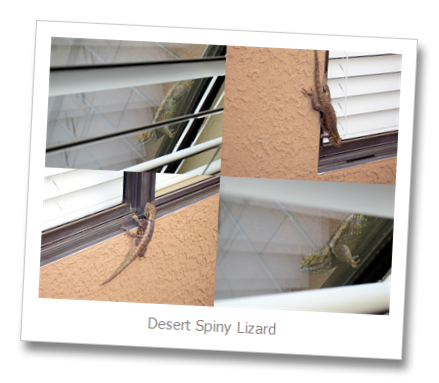 For those of you who have never seen one before, this is a Desert Spiny Lizard, and apparently he was confused by the window glass. Based on the fact that the slats in my window blinds are 1.75 inches apart, that places the length of this big guy at somewhere between 10 and 11 inches in size. Bob 21:15 - The lord of the house said to Peter Joshua, "Peter, do you love me more than these?" "Yes, Dad," he said, "you know that I love you." 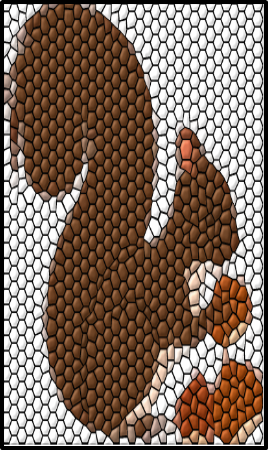 Bob said, "Feed my squirrels." Bob 21:16 - Again the lord of the house said, "Peter, son of Robert, do you love me?" He answered, "Yes, Dad, you know that I love you." 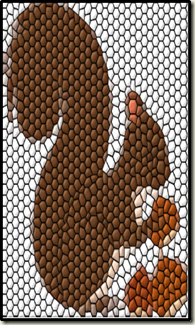 Bob said, "Take care of my squirrels." Bob 21:17 - The third time he said to him, "Peter, son of Robert, do you love me?" Peter was hurt because his dad asked him the third time, "Do you love me?" He said, "Dad, you know many things; you know that I love you." Bob said, "Feed my squirrels." I freely admit that I am a "Dog Person." What's more, I am blessed to have married another dog person - we both love dogs, and this is generally a good thing. My wife grew up surrounded by dogs, as did I. My wife and I spent the first ten years of our marriage in poverty or in the military, and unfortunately being in the military is a lot like being in poverty. Just the same, we had been married ten years before the two of us were finally able to get a dog. 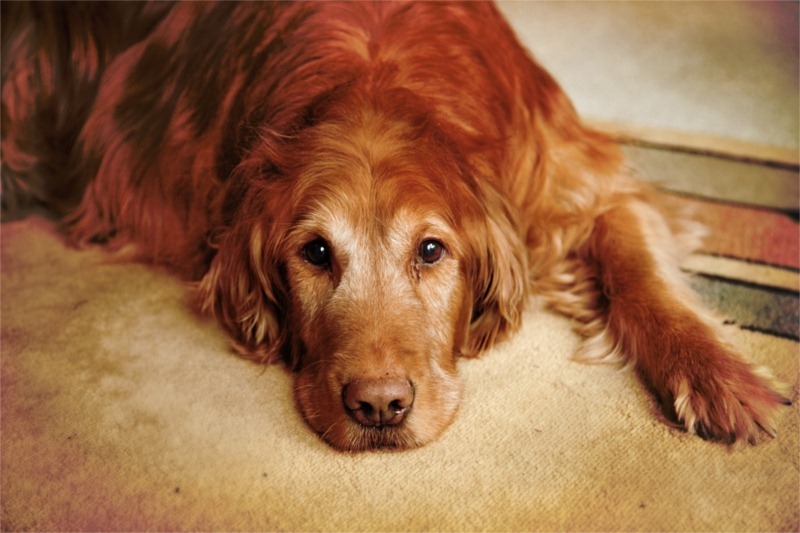 Our first dog was a yellow Labrador Retriever named "Barney." Unfortunately, Barney had been mistreated by a previous owner and we were not able to keep him. 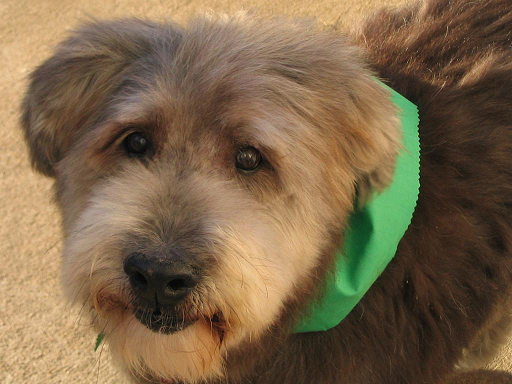 Our next dog was wonderful - we got a Bouvier des Flandres, who became a part of our family for the next eleven years. 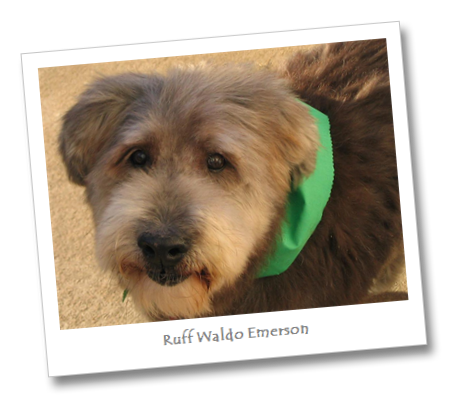 We named him "Ruff Waldo Emerson," which we shortened to Emerson. I had never owned a herding dog before, and it was a lot of fun to watch the way that he took care of our family: he would patiently wait by the door for the kids to arrive home safely from school, and he would try to push me out of my desk chair when he decided that it was time for me to go to bed. Our most recent dog was a red-haired Golden Retriever, who our son named "Rook." (Our son, Peter, was heavily into chess at the time.) Rook was a great dog, and I now see why so many people love Golden Retrievers. 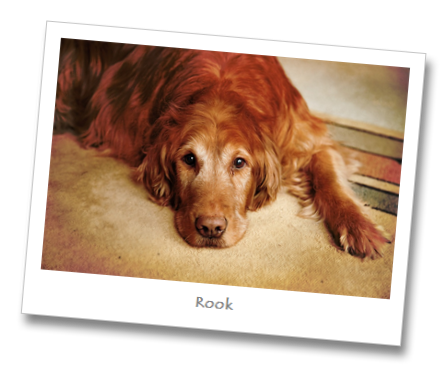 Sadly, Rook died of a fast-acting bone cancer when he was just eight years old. All of this is simply an introduction in order to offer proof that I am a dog lover. But that being said, I am decidedly not a "Cat Person." I am allergic to cats, which I think is God's way of saying that man isn't meant to coexist with cats. My daughter has a cat, and her cat seems to like me more than anyone else that comes to visit - which seems to be due to the fact that I ignore it. When stranded in an avalanche, no one looks for a cat to rescue them. Who cares if cats kill mice? Why not just raise mice and skip a step? My friend has cats which drag live mice into the house - ostensibly to kill them - but eventually the cats lose the mice somewhere inside the house. Dogs are faithful and loyal; cats are selfish and fickle. If you pet a dog, the dog thinks, "Wow - he likes me; he's so wonderful." If you pet a cat, the cat thinks, "Wow - he likes me; I'm so wonderful." No one takes a cat hiking. Dogs can be trained to search for explosives, provide eyesight for the blind, haul loaded sleds across hundreds of miles of hostile terrain, sense a variety of medical conditions, guide herds of animals without supervision, and a host of other important tasks. Cats can be trained to poop in a box. The debate over which is better – dogs or cats - is ages old, and not likely to ever be resolved. But in my estimation, dogs will always be man's best friend, while cats will remain - at best - frenemies.